You read that right : Marrakech’s got its own stone desert, valleys and palmgroves! 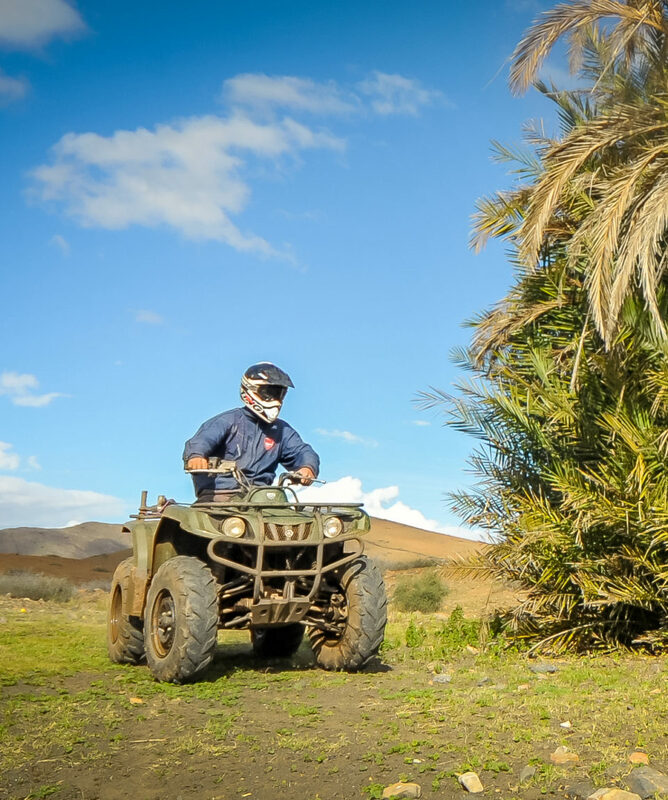 Let us show you all the best spots of the famed, laid-back Desert! 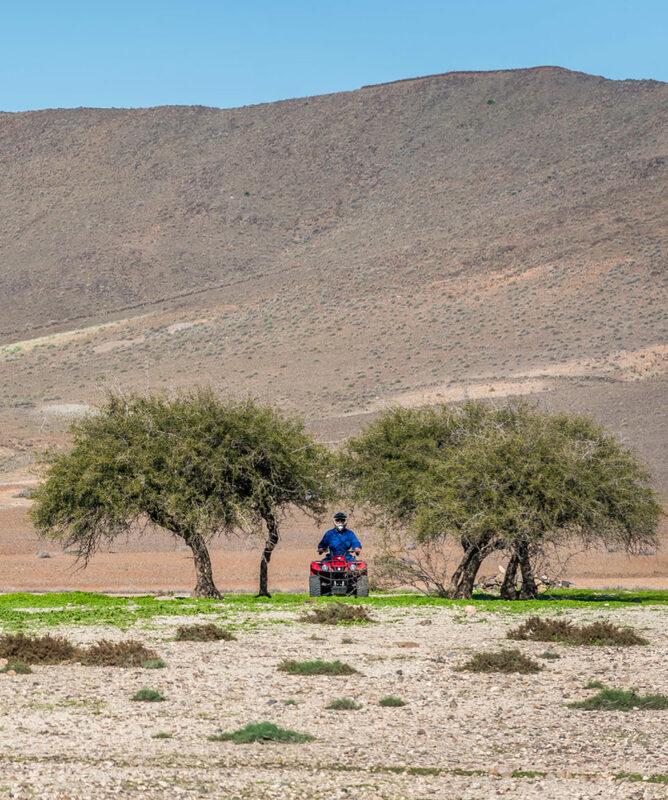 An introduction to quadding alternating the soft, dried silt plains of the desert with lunar landscapes on the outskirts of Marrakech. Get out and be in a place you never suspected, only few kilometers away from the center. 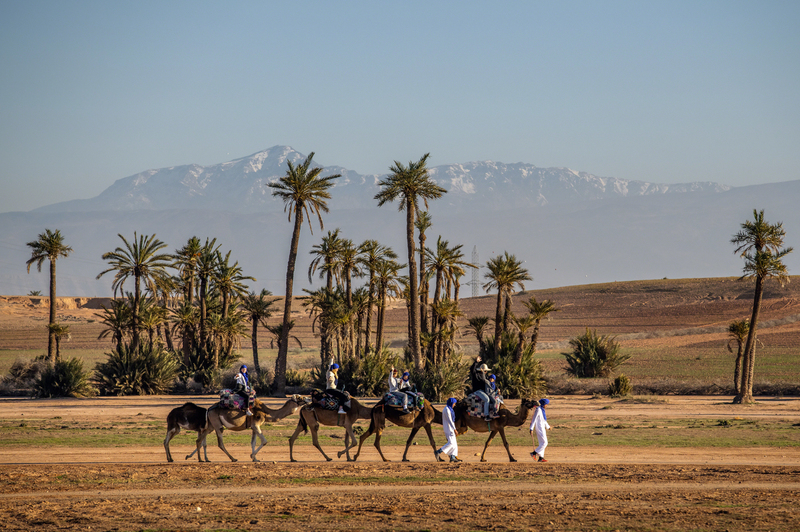 Discover the outskirts of the city of Marrakech and the real way of life of its inhabitants. Careful guides ready to share their love of Morocco. Get out ! 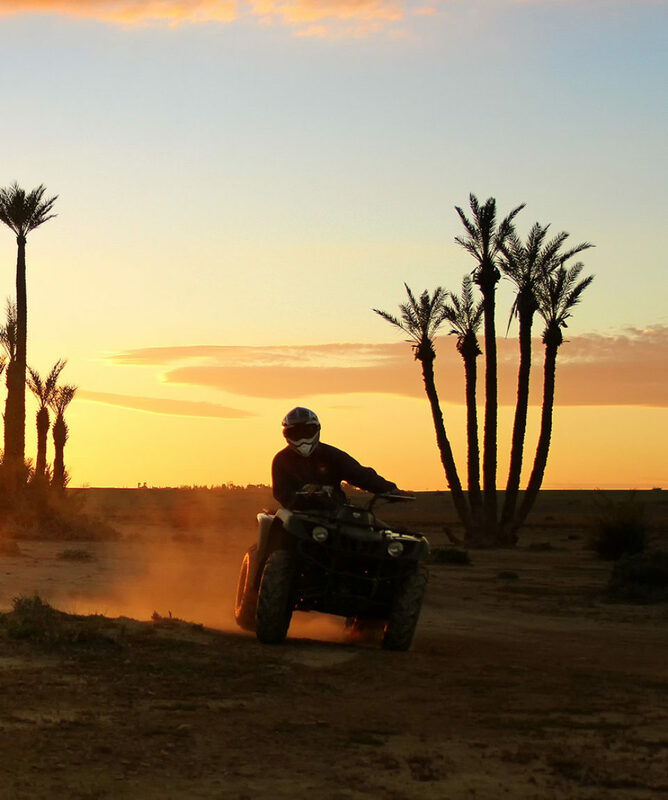 Dunes & Desert brings you in the best places of the area : Marrakech’s stone desert, wadis and palmgroves! 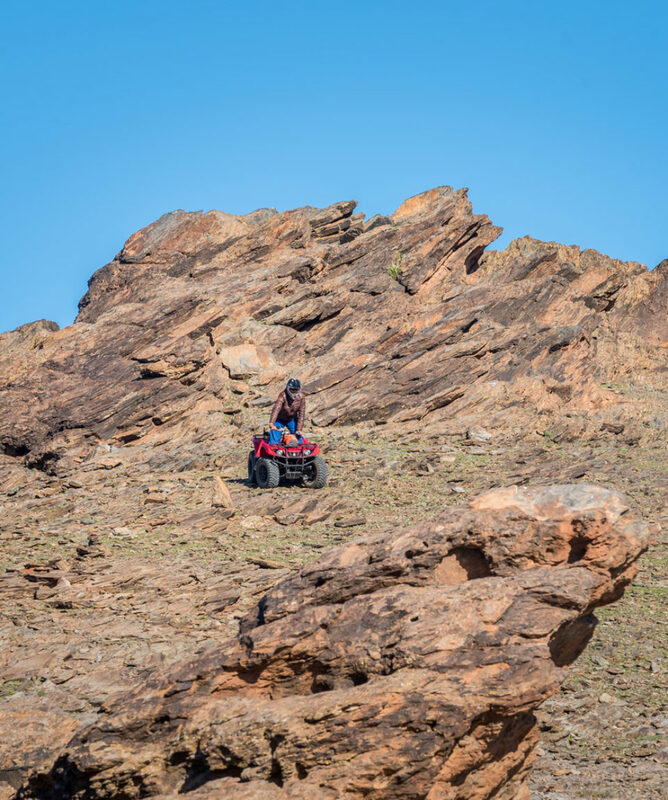 Let us show you all the best spots of the famed, laid-back Desert! The valleys of this place called « Jbilets Desert » will suprise you by its light and by the special feeling of being out-of-nowhere. 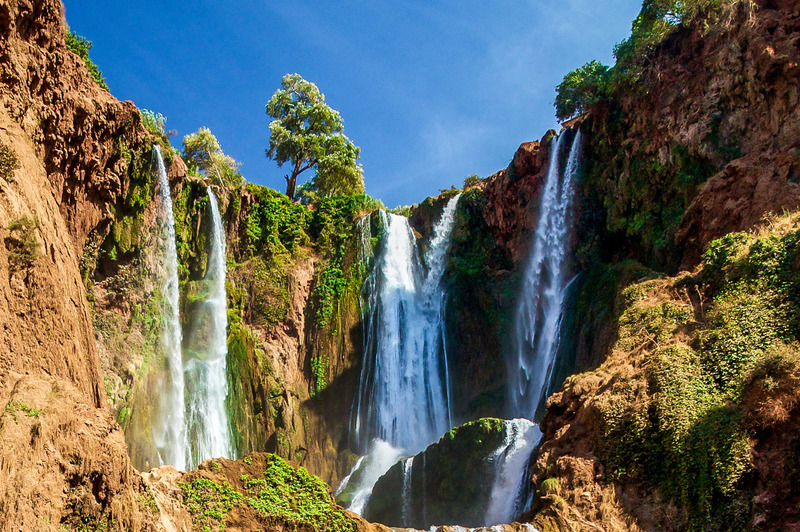 Only 30 minutes from the Center of Marrakech, this trip needs only one of your halfdays. Once on site, safety first ! 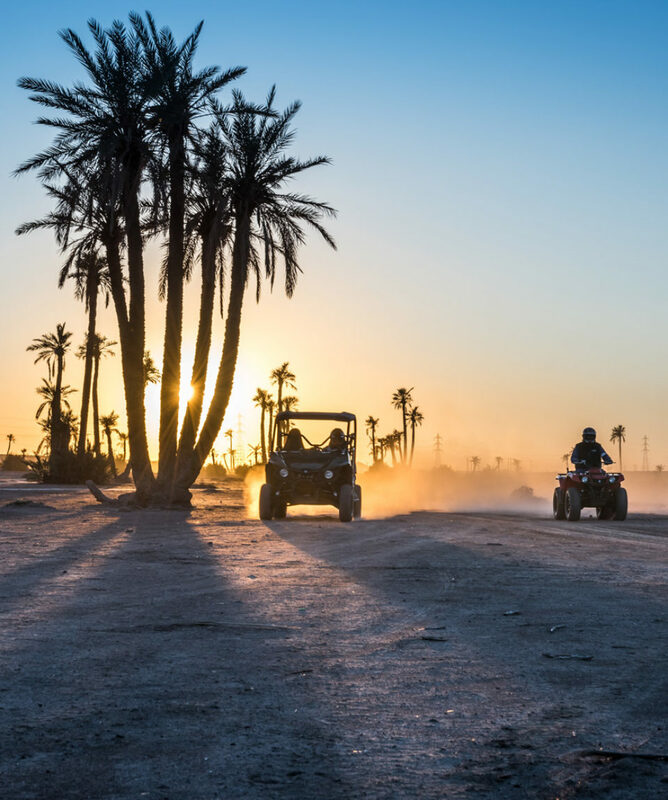 Program explanations, equipment briefing (Yamaha quads) and initiation to the driving to be all ready for departure to go explore the vast but diminishing remnants of the Marrakech palmeraie and desert. And of course, great views of the High Atlas, the roof of North Africa. Our reputation is already made : our detailed knowledge of the area, top-notch in-house maintenance, the complete reliability of our equipment and the super team of guides are all making the difference. 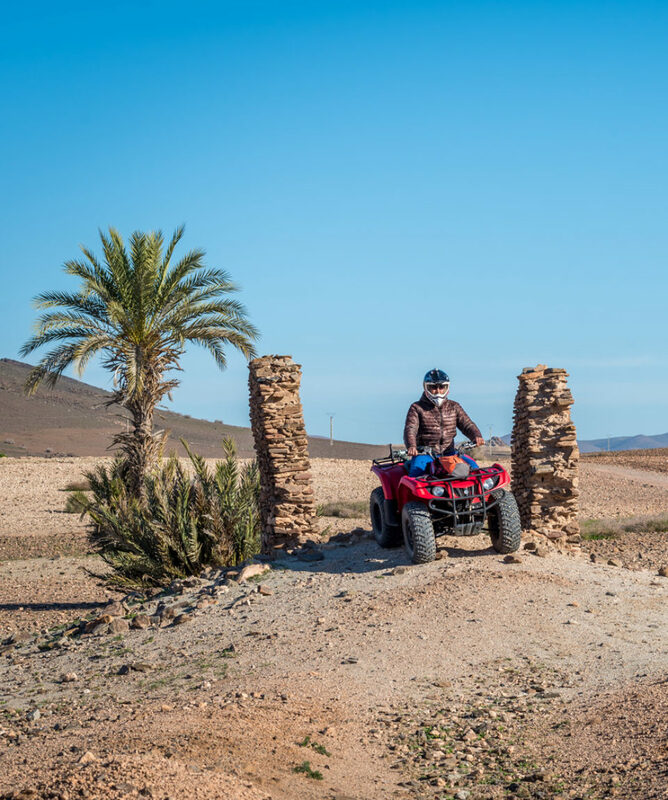 On the way, a halt is planned in a little village to stretch your legs, sip hot tea and enjoy Berber hospitality, and if time permitting, our guides will be happy to show experienced riders their favorite tracks & spots. This family-friendly half day excursion can also be tailored, on demand, to suit you and your parties tastes for exploration and adventure. 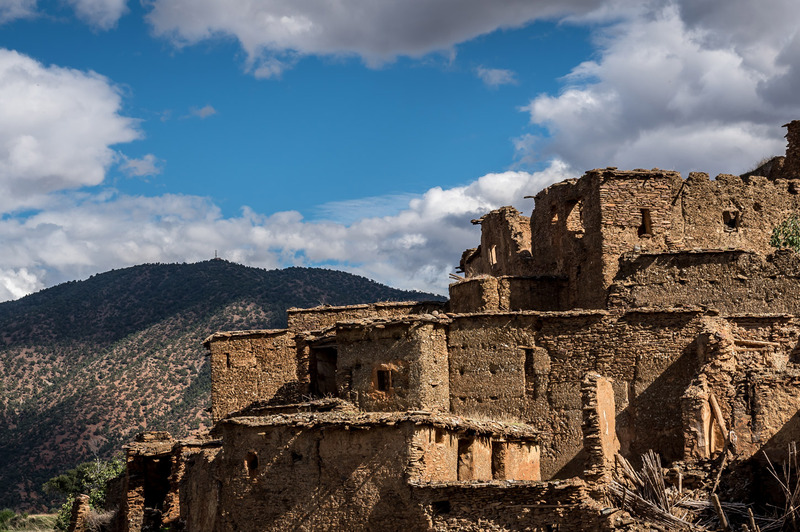 Discover the Jbilets desert area where the beaten path stops and sometimes even enjoy great views of the High Atlas Mountains. 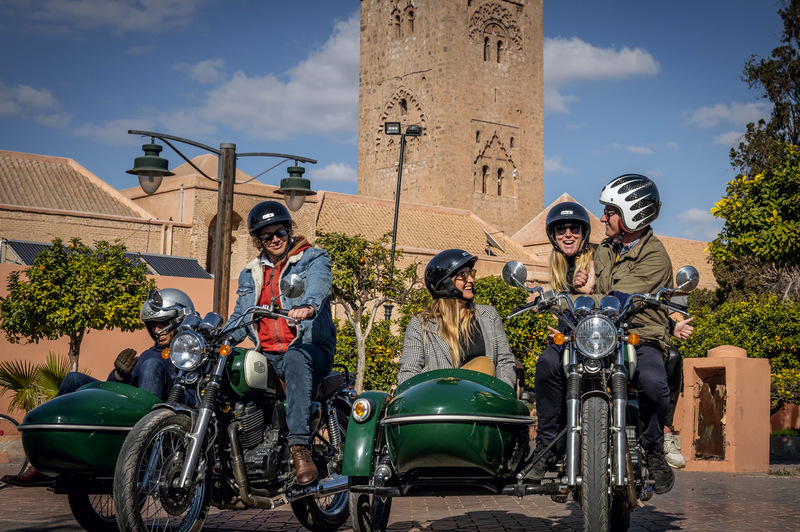 A perfect outing for adventurous travelers looking for Moroccan realness : its inhabitants, its hospitality and its wide open spaces. This activity, counting several hundred reviews on Trip Advisor, will convince you and your frients and let you leave this wonderful country with unique memories. This is Marrakech : strong moments that we remember for a long time. Two sessions per day. Available all year round. Exact pick up time confirmed the day before by phone. Each quad can fit 2 people (one driver & 1 passenger). Total time about 4 hours includes meet & greet, transfers, arrival, preparation, briefing, initiation, ride & hotel or riad return. Minors under 16 are allow to participate as passenger and are not allowed to drive a buggy. Minors 16 and over require parental waiver to pilot a buggy. 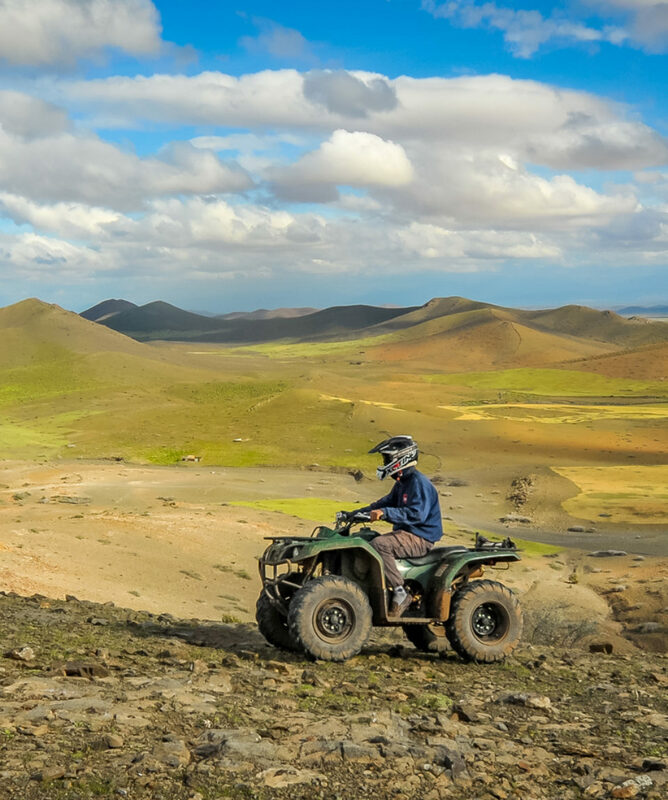 Children under 12 have to ride as passenger with an adult on the quad bike. They pay only half price. Don’t forget to bring your ID (passeport or driving license). Photo service available on site in extra, starting from 50 MAD / 5€. Yamaha Quad Bike (Grizzly 350cc) full automatic for a comfortable driving. Guide with gas, goggles, helmet and waterproof jacket (if necessary) and one cheich for the camel tour to protect from the sun. Tea break in a typical house : taste the famous mint tea and delicious Moroccan pancakes called msemen.